In the previous article, I listed some tips to help you avail Cebu Pacific promo fares. Now, let us talk about how can you corner PAL promo fares. Philippine Airlines or PAL is the Philippine's flag carrier and I believe that it is the popular airline for foreigners going to the Philippines. Ticket prices for PAL is expensive as compared to other local airlines that is why I don't normally buy tickets from PAL because I am such a cheapskate. I experienced riding one of their flight and I can say that I liked it. The airplane of PAL is bigger and have more legroom. Unlike Cebu Pacific, PAL don't give regular promos. However, they offer cheap flights like the Fiesta Deal and the Fiesta Saver. Fiesta Deal is the cheapest of the fare deals being offered by PAL but it is non-refundable. Prices vary on each flight schedule and destinations but it offers 15 kilograms of baggage for each passenger. The Fiesta Saver offers 20 kilograms of free baggage for each passengers. Fiesta Deals can be lower than 2,000 Pesos (taxes and other fees not yet included), depending on the flight schedule and destination. The slots for Fiesta Deal are easily filled that is why if you are planning to travel and you want to travel by PAL, I suggest that you book your flight as early as possible. PAL promo fares may be offered from time to time so it is good if you are updated of the offers the moment PAL upload it on its website. 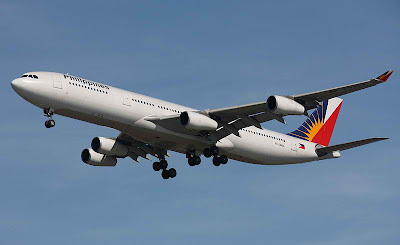 I suggest that you follow Philippine Airlines on Twitter and Facebook. 3. Book online and use PAL's different payment options. It would be easy for you if you chose to book your flight online. According to PAL website, you can pay your online booking using your credit card, SmartMoney Debit Card and BancNet ATM Card. PAL does not require that the credit card holder be part of the traveling party. This means that you can book a flight at PAL for your family and friends even if you will not travel with them. However, PAL may demand a photocopy of the credit card before it allow the traveling party to board the plane. BancNet ATM cards can only be used to book domestic flights only. Those are the few tips that I can share if you want to avail of PAL promo fares. Just like what I said, PAL don't offer much promo fares like Cebu Pacific. However, the Fiesta Deal can be treated as PAL promo fares and good enough for anyone who want to fly Philippine Airlines. Want to know how to book the PAL promo fares that you like? Read about Philippine Airlines online booking. Read related article on how to avail Cebu Pacific promo fares and Zest Air promo fares. Image of PAL airplane came from Wikimedia Commons. Never checked PAL. I think it flies to KL. Should compare fares...butof course, Air Asia is the cheapest (to Clarks)...but I'm not crazy about that cheap airline. Clark is too far away from Manila. But if you aim to go to Baguio City or other areas north of Manila, then it is good that you choose Air Asia.